After two years of entering this so called blogging world, I can't believe how much pastels&pastries has evolved! It is really something I adore putting together and am constantly charmed by. I love creating a space that can inspire you to add some fun, flair, and gold gilded accessories to your everyday, and I hope it does just that! Really- thank you all coming back post after post! And I really love hearing from you so if you have any suggestions/ideas/feedback please feel free to comment or email me anytime! In light of P&P’s second birthday I thought I would get all personal and share ten facts you probably didn’t know about me. Happy 2nd Blog Birthday Beautiful! I have completely fallen in love with your blog and you! 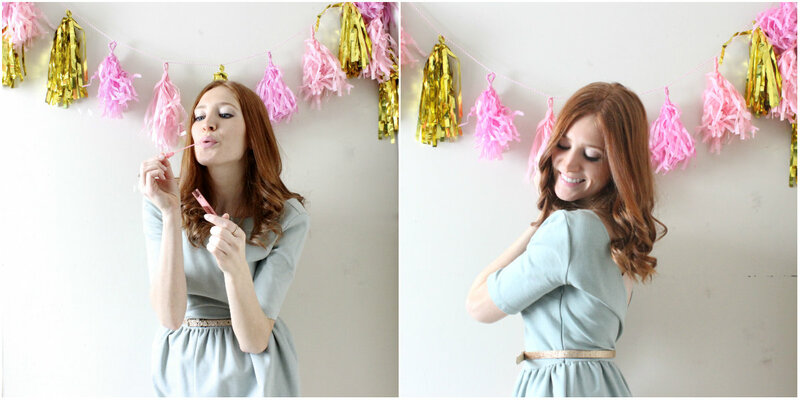 It's so nice to see another redheaded blogger, especially one who has such similar interests! Thank you so much, Courtney! You are the sweetest. You and your blog brighten my day! !